Create a splash at Dunbar Leisure Pool, the ultimate centre for aquatic fun for all the family! 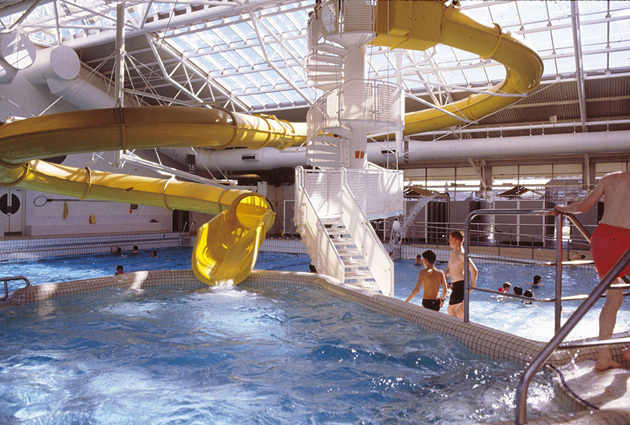 The pool has a beached area with water characters for younger children to play on, as well as a wave machine, water jets and flume. Dunbar Leisure Pool also offers a variety of fitness classes, sports coaching sessions, a health suite with steam room and sauna, and has a state-of-the-art Bodyworks Gym with cardiovascular and resistance equipment. Dunbar Leisure Pool’s Café is open daily to the public. Serving a range of hot and cold beverages, light meals and snacks the Café offer beautiful view of the costal cliff tops and Dunbar harbour. Over 30 fitness classes per week, 7 days per week – for all abilities, from gentle, including classes suitable for disabled participants, to high impact – choose your own level. Coached activities for kids, including swimming lessons and sports clubs. See www.enjoyleisure.com for more details.